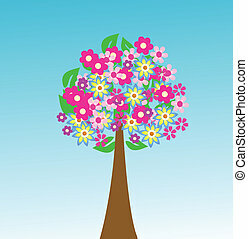 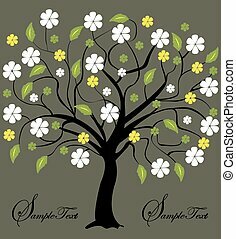 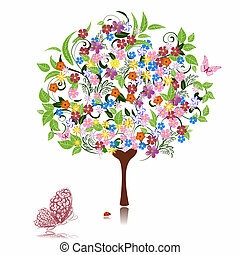 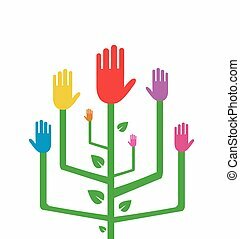 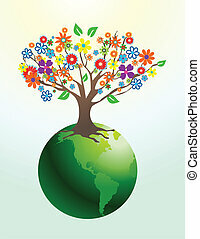 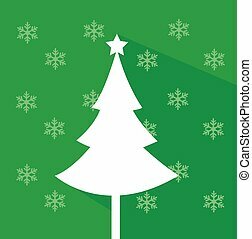 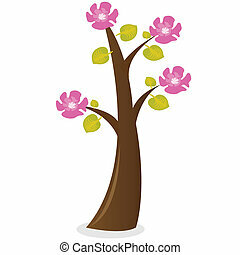 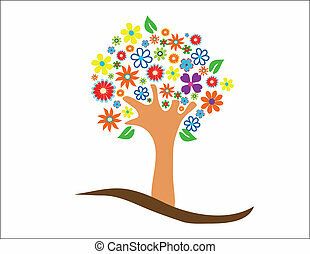 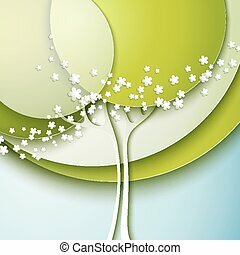 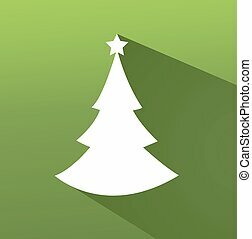 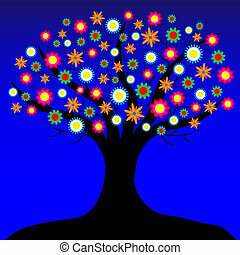 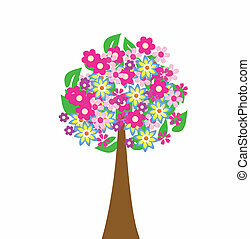 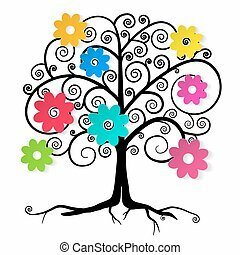 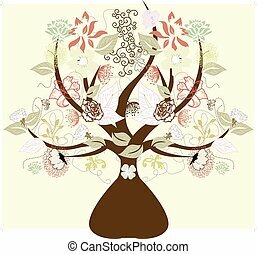 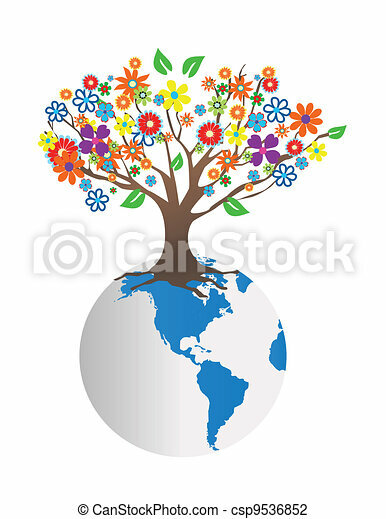 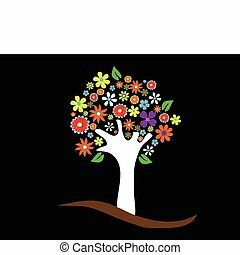 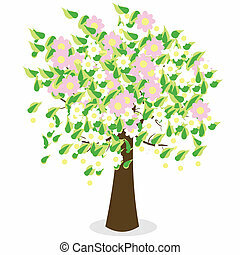 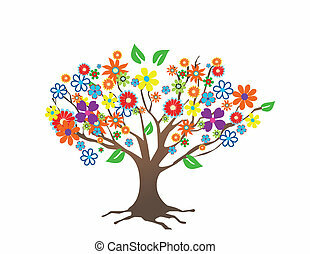 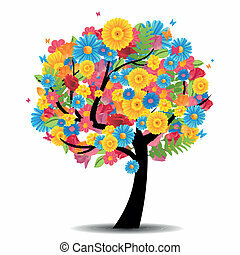 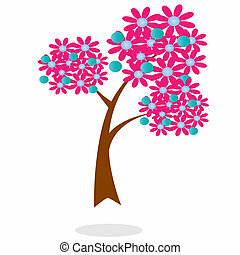 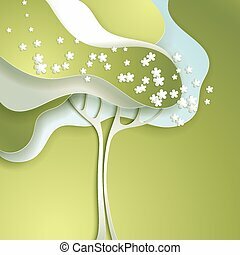 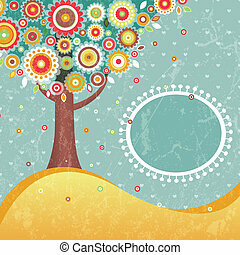 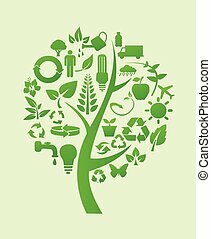 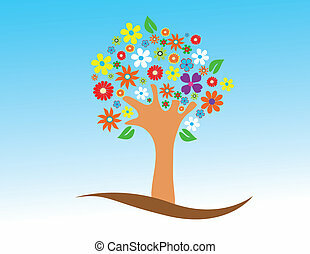 Abstract tree with flowers vector illustration. 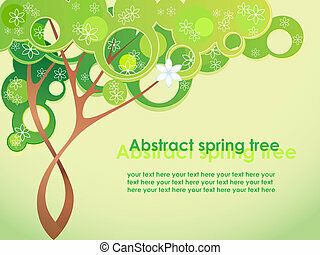 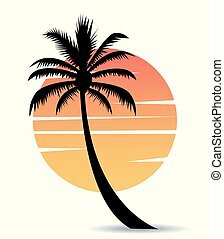 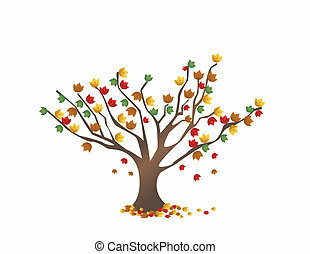 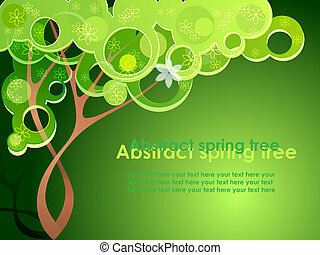 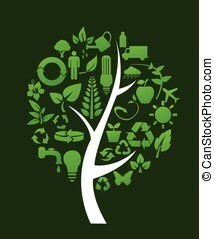 Abstract retro tree with place for text. 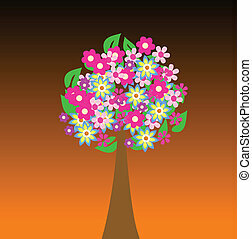 EPS 10 vector illustration.Contains transparency effects and clipping mask.